Quiz Time: Who Was the First President of the United States? 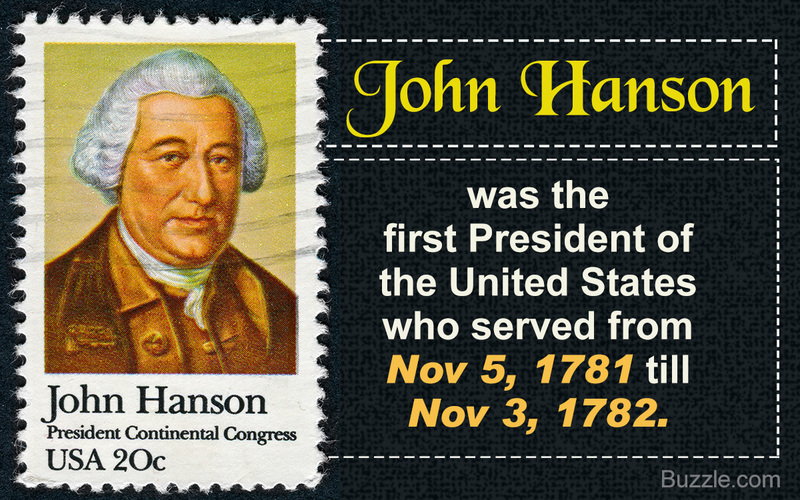 John Hanson was the first President of the United States who served in office from Nov 5, 1781 till Nov 3, 1782. This piece will briefly explain how and when John Hanson was elected for the post, and his contributions towards the nation. 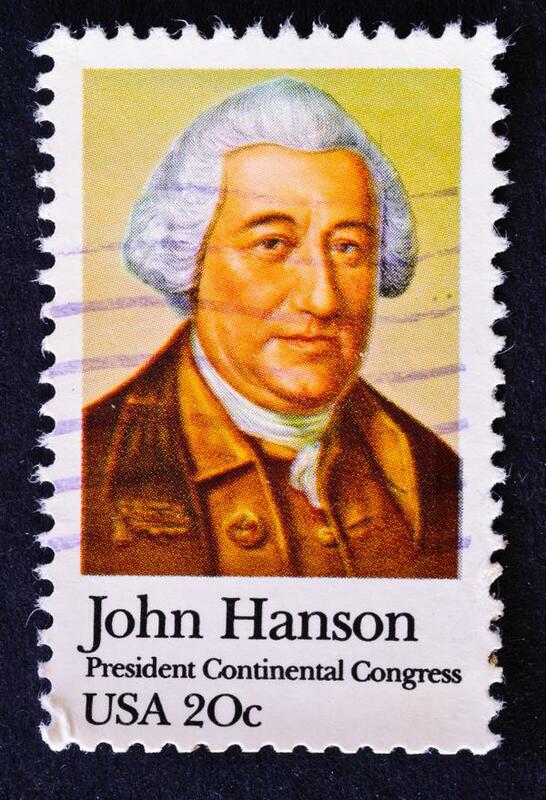 John Hanson became President just when the revolutionary war ceased. The war being a long one, there was dearth of funds. The troops had threatened to bring down the government if they weren't compensated. Along with quietening the troops, Hanson shelled out 800 pounds of sterling silver to provide the troops with shoes! John Hanson was the first acting President of the United States and the President of the Continental Congress pertaining to the Articles of Confederation, whilst, George Washington was the first officially declared President of the United States to be sworn in under the Constitution, and was one of the founding fathers of the nation. John Hanson was born in Maryland in the year 1715. He belonged to one of the most prestigious, traditional, patriarchal families of American patriots. He was elected to the Provincial Legislature of Maryland in 1775. In the year 1777, John Hanson became one of the delegates to the United States in Congress Assembled (also known as Continental Congress). The United States of America was formed on March 1, 1781, under the Articles of Confederation. John Hanson became the first President of the United States under the Articles of Confederation. The members of the Congress Assembled, including George Washington, unanimously chose John Hanson to be the first President of the US. Hanson passed the legislation for establishing the Central Bank of North America known as the Bank of North America. 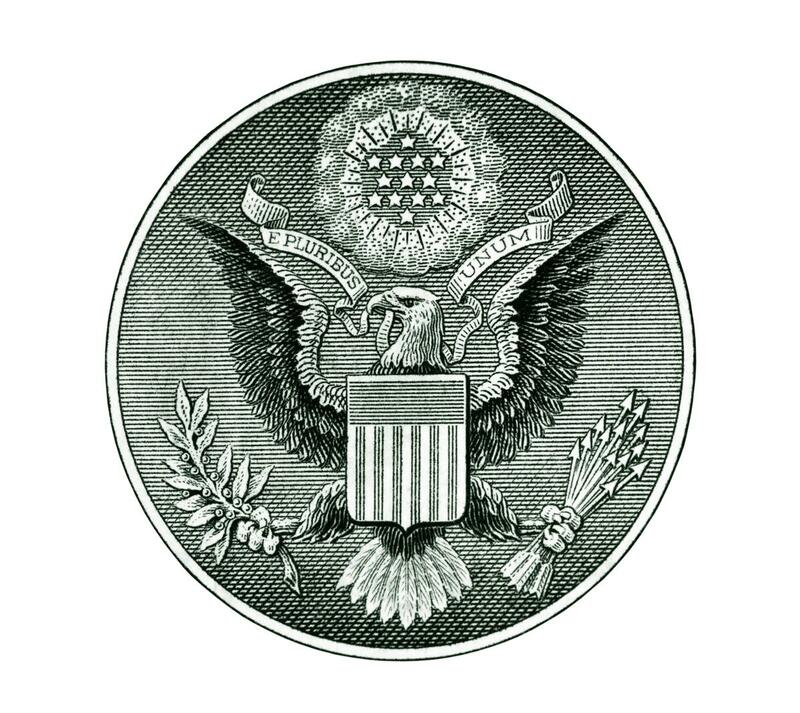 Hanson also established the Great Seal of the United States and Treasury Department. He also formulated a department known as the Foreign Affairs Department, and created the designation of Secretary of War. Last but not the least, John Hanson declared Thanksgiving Day as a national holiday. 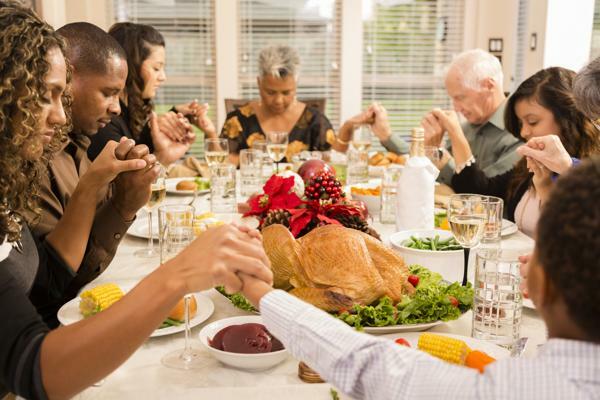 Thanksgiving was declared as the first national US holiday, and it is celebrated on the fourth Thursday of November every year. John Hanson was also the chairman of the Fredrick County or community of observation, and was amongst the first to dispatch southern troops to strengthen George Washington's army during the American Revolution. Hanson's role as a national hero is often overlooked and underrated, but he was responsible for setting up and organizing a systematic body of governance within the country and even for foreign prospects. He can rightly be touted as the brainchild of a budding United States of America. George Washington was the first official President under the Constitution of the United States of America. Here's a brief look at George Washington's life through the years. Born to a wealthy tobacco baron's family, George Washington unfortunately lost his father and elder brother at an early age. The Washington family were immigrants from England who relocated to Virginia in 1657, with the arrival of John Washington, who was the great grandfather of the family. Unfortunately, death shadowed the Washington family in the early years, and George witnessed the demise of three of his step-siblings, his sister Midred, and his half-brother and sister Butler and Jane, all at a young age. George inherited the tobacco plant which was called Ferry Farm, and soon acquired Mount Vernon. George followed his education from an elementary institution and was tutored by an Anglican clergyman - William Fairfax. William Fairfax paved the way in Washington's early career as a surveyor initially, and then a soldier. At the age of 17, George Washington was an official surveyor, during which he acquired considerable areas of land in Western Virginia. In 1753, Washington was appointed to a prestigious rank as a major in the Virginia military. This marked his first presence as a patriot, before he set out for various consecutive battles that followed. The area at that time was engaged in a fierce land-lock between the French and the British. Washington was sent for his first attack for ambushing a French settlement of thirty-five men under the supervision of a French commander Coulon de Villiers de Jumonville, who had driven off a small construction crew and claimed several areas in the Ohio valley, which was secured previously by the British and the state of Virginia to open up prospects between themselves on mutual consent. According to unknown circumstances, the French commander Jumonville was killed, and this triggered the French-Indian war. By 1755, Washington was conferred with the rank of the Colonel of the Virginia Regiment and Commander-in-Chief of all forces. In 1758, Washington assisted the British in successfully driving away the French forces from Ohio. It was during this time that he honed his skills as a military leader by observing the British war tactics. Washington became known for his leadership skills, and was an excellent commander who organized, trained and disciplined his army religiously. This was marked at the Forbes expedition, after which Washington retired from the regiment in December and went back to Vermont, only to return for the outbreak of the revolution in 1775. There was growing discernment brewing against the British rule. The British Stamp Act of 1765 and the introduction of tax levied on the colonists was enough to light fuel to the fire, and thus started a rebellion. The coming times would witness the most significant battle for independence on American grounds - the American Revolution, which lasted from 1775 - 1783. April 1775 saw the heroic return of Washington to the Continental army, who made an appearance before the Second Continental Congress in his military uniform, ready to take charge, and was appointed as the commander-in-chief in-effect. What followed was a raging war between the Americans and Great Britain. Washington had an immense responsibility on his shoulders in coordinating the soldiers, recovering from the aftermath, planning tactics for warfare, and acting as a political counterpart. Washington then began launching a series of repetitive attacks on the British bases, some which proved to be successful, and others that were simply disappointing. These attacks also proved to be costly, and the resources were soon diminishing. 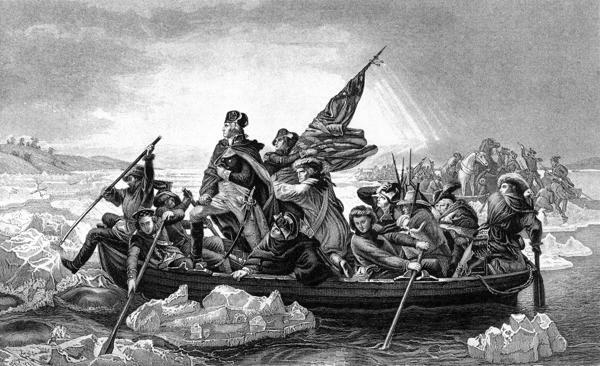 Washington had almost lost ⅓ of his forces in waging attacks during this time. America saw its first victory at the Siege of Boston. 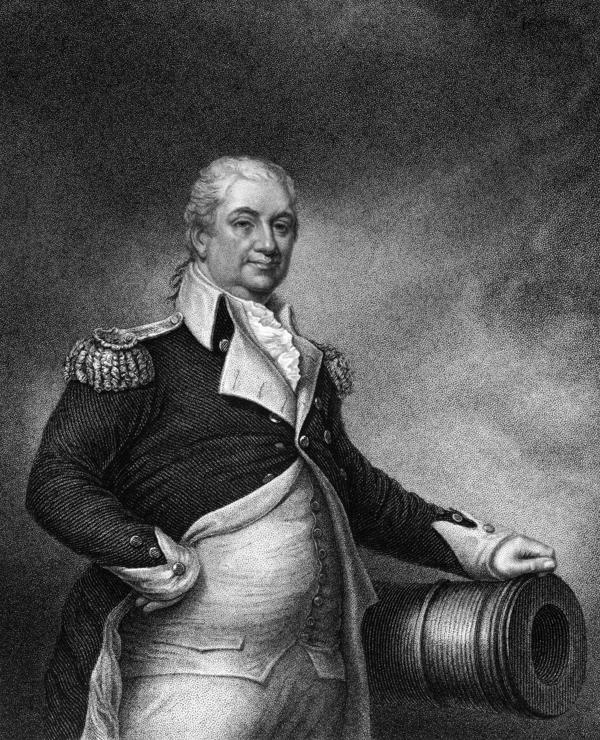 Washington tactfully engineered a series of organized attacks also using snipers, and technically maneuvered his troops to bring in artillery which was looted stealthily from a British arsenal with the help of a friend called Henry Knox, who was a young bookseller and was inspired by military matters. Knox succeeded in securing heavy armaments and cannons, and later went on to become the chief artillery officer, and eventually the United States Secretary of War. Equipped with cannons and retaining the artillery, Washington successfully drove away the British troops and righteously claimed Boston and Charleston on March 17, 1776. March 17 then came to be known as Evacuation Day. Initially, the war was only commenced between the Americans and Great Britain, but eventually, France, Netherlands and Spain allied with the American troops, as they too were bearing the brunt of the British regime. In the late 70s, Washington systematically devised diplomatic activities, and strategically allied with the French forces. In spite of this, the Americans witnessed a heavy downfall ahead while attacking the Britishers, and were outnumbered at several locations during the 1777 campaigns, and lost out on Philadelphia during this time. After six months of recuperation and battling setbacks, Washington led his troops, now much disciplined and trained, to successfully vanquish the British presence, by attacking them and striking them at Monmouth, and acquiring Philadelphia. The British meanwhile had moved north to New York, and stationed their troops along New Jersey. By now, the pressure on the British army was increasing drastically. In July 1780, Washington, along with a steady 5000 French troop, led by General Comte Donatien de Rochambeau, struck the final blow by invading the British captured colonies of New Jersey, Saratoga, and Yorktown. The British then helplessly surrendered on October 17, 1781, which marked the significant triumph of America over Great Britain. 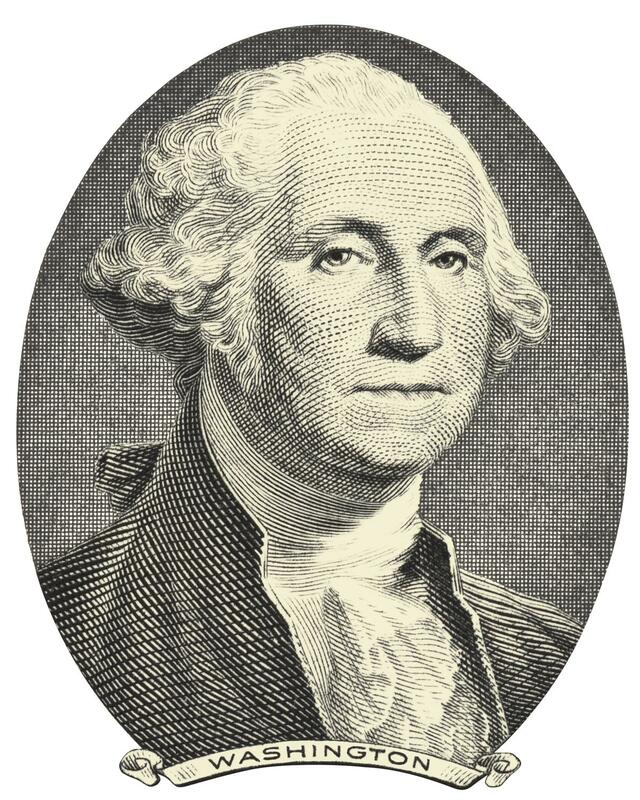 New York and New Jersey were retained, and George Washington was a national hero. 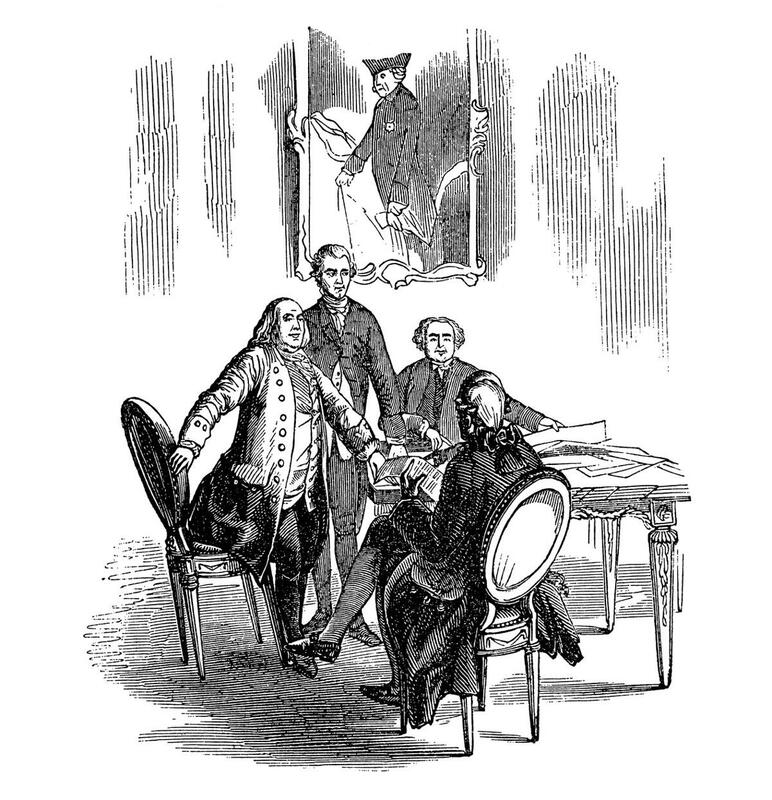 The year 1783 saw negotiations between the two countries, and after Treaty of Paris was signed on September 3, 1783, the United States of America embraced independence. At Fraunces Tavern, Washington bode farewell to his officers on December 23, 1783, and resigned from his duties graciously, retiring to Mount Vermont, an act that left many stunned. Washington was a revered figure by then to one and all, and had considerable amount of accolades to his name. His stay at Vermont was short-lived though. At 1 p.m., in Mount Vernon on April 14, 1789, Washington was officially notified through a letter that he was unanimously chosen to be the country's first President. He was elected twice as the President with 100 percent votes to his name. On April 30, 1789, George Washington took the much-deserved oath of office hailing as the first President of The United States Of America under the Constitution. 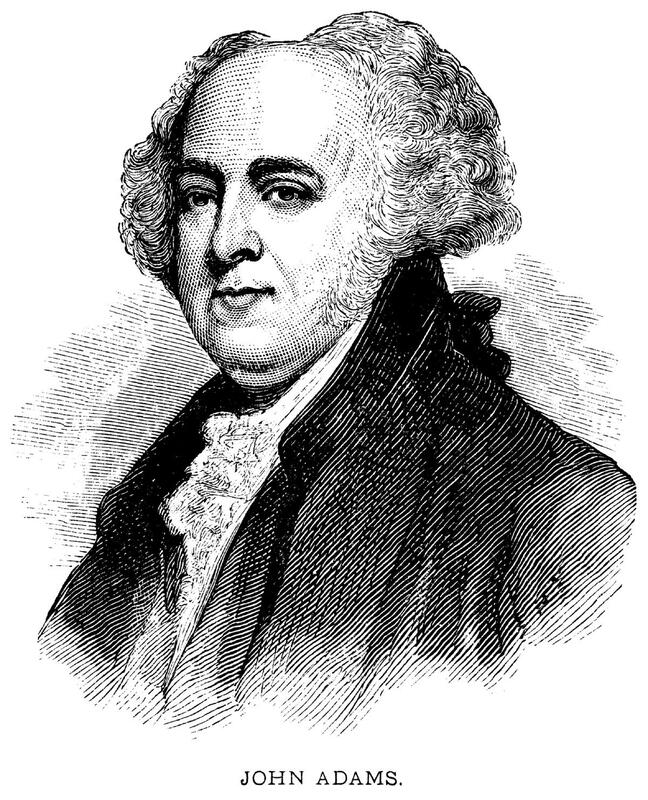 John Adams, who also a runner-up for the Presidential elections, was elected as the Vice President. As the President, he basically shaped the principles on which the government functions to this day. 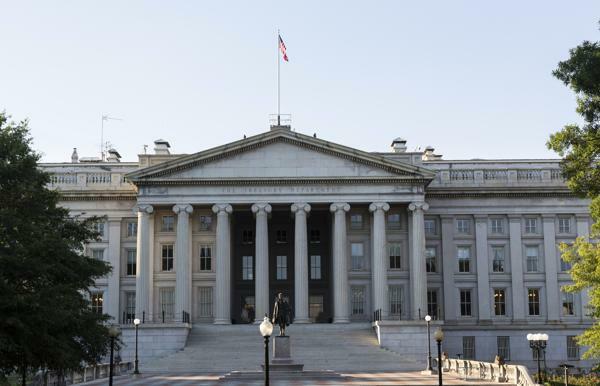 He served two quick terms, and resolved the domestic issues pertaining to debt, financial crisis, structuring the tax-system, and establishing a steady political and economic foothold. He maintained diplomatic relations with the French and the British governments, and secured trade with British colonies. After retiring from presidency, Washington traced his way back to Mount Vernon, where he devotedly attended to his pending business prospects and his plantations. He went on to open his own distillery, and manufactured his first batch of spirits in February 1797. In the late 1790s, he coordinated the activities of the Provisional Army as a Senior Officer on request, but kept a distance from the military affairs, and nominated Hamilton to overlook working and leading of the army. 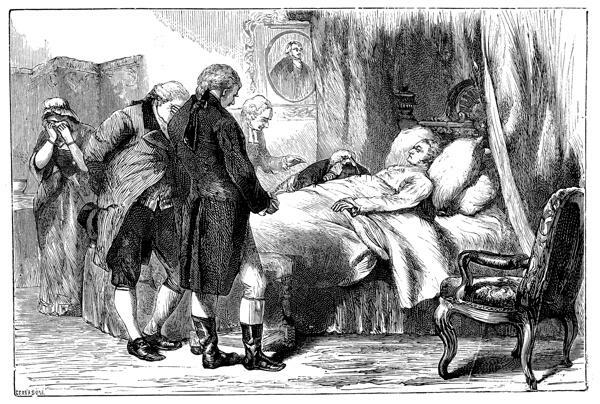 On December 12, 1799, at the age of 67, George Washington succumbed to death following a severe throat infection. His death took many countries by storm. France observed a 10-day mourning under the orders of Napoleon Bonaparte. The U.S. saw thousands of people mourning his death for months together. The Judiciary Act overlooked 13 districts amongst 11 states which pertained to the Constitution. These judicial bodies upheld the principles of the law, and exercised their powers in accordance. He believed in freedom and liberty, and acted accordingly. He was appointed to the rank of General of The Armies of the United States, the highest ranking military officer in the history of the U.S. He promoted the domestic economy. He issued a letter of marque and reprisal to the French government. He formulated the 'Jay Treaty' and resolved financial issues pending after the American Revolution. 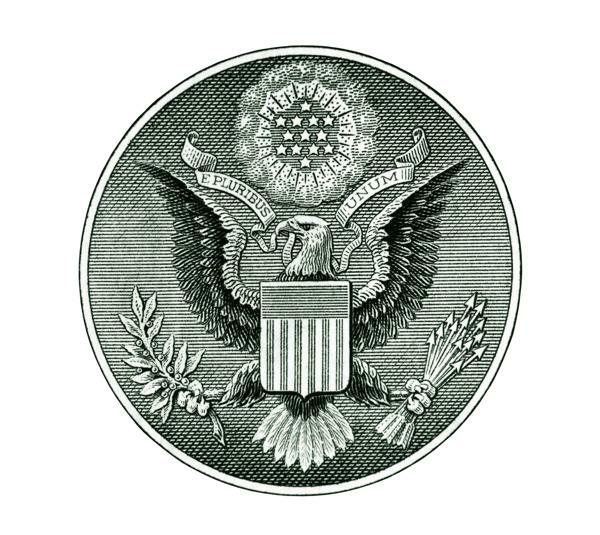 He founded the official seat of the United States Government imparted under the Residence Act of 1790. He opposed the Whiskey Insurrection and staged a tax-protest against it. The Masons chose him to be the Grand Master of the Grand Lodge Of Virginia, which he politely declined. He freed all the 300 slaves who were owned by him. He founded the cabinet for governing the affairs of the country. He facilitated The Treaty of Madrid. He graciously resigned from his duties as the President after the second term, and established the law that the service of any President in the country should be of not more than two terms specifically, and encouraged new political and economic reforms. He was the official surveyor of Culpeper County, and purchased land in the Shenandoah Valley, which was the first of his many forthcoming land acquisitions. Of the many things that George Washington was, a farmer, surveyor, Commander-in-chief, General of the military, and the President, he was prominently recognized as a fierce and passionate patriot, with a sense of righteousness, besides being a born leader. His contribution to the country is magnanimous, and he truly earned the title of being The Father of the Nation.